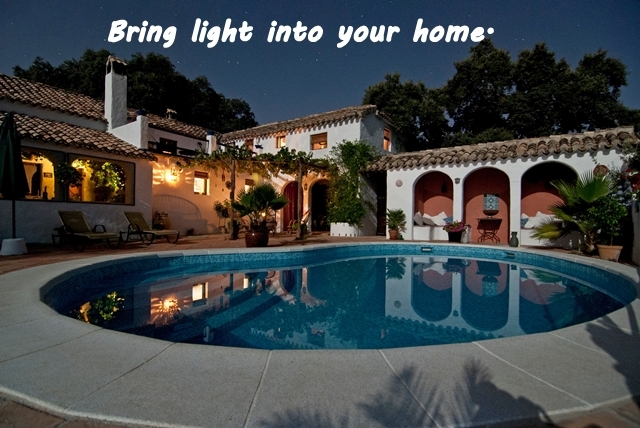 One of the easiest, most cost-effective things to upgrade in your home is illumination. Why? Well, first of all, lighting system allows for a lot of customization, which is always a good thing. Second, even the slightest of changes are easily noticeable. Finally, a lot of these upgrades require little to no funds and can be done even with the simplest of DIY projects. All in all, here are a few quick tips to improve your home’s lighting. Like any other area of interior design, there are many lighting mistakes you may want to avoid. For example, some people forget to install the task lights in their kitchen which seriously hurts its functionality. Similarly, installing a downlight above vanity and forgetting to place some lights at the sides are also pretty big no-nos. Furthermore, a lot of people make a mistake of using incandescent or halogen light sources, but never add the dimming option. This results in significantly reduced life expectancy of the bulb and a much greater energy output (especially when it comes to heating). Next thing you need to know is that different rooms require a different amount of illumination. First of all, you need to recognize that there are two different lighting requirements, ambience and task. Next, you should do a simple lighting calculation. Ambience is a regular room light and it usually doesn’t need more than 50 Lux. Task means functional light such as you may need in the kitchen or during operations such as sewing or bedroom reading. For this, you may sometimes need illumination of 400 to 550 Lux. Some may get frightened by big numbers, but just for comparison direct sunlight has light intensity somewhere between 32.000 and 100.000 Lux. As you can see, sometimes even different areas of the room have different light requirements. This is why, you may want to enhance your already existing light system with more lamps (or even candles). Here, you have a wide choice between tall lamps, floor lamps while some people even go as far as to use vintage lanterns or candles for this particular task. One of the most important tips for any lighting system improvement is which bulb to go with. Incandescent bulbs cost less to purchase, but have unfavorable Watt-to-light ratio. This means that LED bulb of 5-8 Watts gives as much light as 60 Watts incandescent bulb. You see, incandescent bulb spends most of its energy on creating heat, which is not something you need from a lightbulb. This is why, most people these days decide to go with LED. No matter how good of an illumination system you have installed, it can never be a substitute for natural light. Unfortunately, you only have so much daylight and in some parts of the year (or even parts of the world) this becomes even rarer commodity. This is why, you might want to think about enhancing it with mirrors and by removing non-supporting inside walls and pillars. Finally, the best effect can be achieved when these two sources of light, natural and artificial, are combined. When it comes to particular light sources, while you could go to the store, some of the most interesting solutions can be found on garage sales, flea markets and by looking online for different ways of lighting. The last one is by far most convenient since it gives you more choice. This means in this way you’ll be able to find a perfect light fixture for every room. While most of these tips are pretty straightforward, making your home’s illumination system the right way around requires a no small amount of planning and strategic thinking. Still, this kind of resourcefulness is a must for anyone who wants to excel at interior design. ← Buying property? Should you buy a house or an apartment?